Though warranty costs increased only slightly for PC makers as a group in 2006, a few companies saw radical changes in their claims and accrual rates. And Dell's still missing, with no new warranty data in almost a year. US-based computer manufacturers reported $5.7 billion in warranty claims last year, up roughly 4.1% from 2005 levels. But those figures are subject to change, because one of the largest players in the industry is now severely late with the filing of its financial statements. Ordinarily, one or two missing companies wouldn't change the averages all that much, but this time the missing company is Dell Inc., the second largest computer manufacturer by market share. So what we've done is taken its second quarter report and penciled it in for the third and fourth quarters, giving us an approximation of what the totals might eventually be. We're estimating Dell's claims total as $1.78 billion in calendar 2006, up about 17% from $1.52 billion in calendar 2005. However, as can be seen in Figure 1 below, what this might be doing is underestimating the true size of the warranty claims total for 2006 by cutting some of the expected growth off the top. For instance, from 2004 to 2005 the claims total for all US-based computer manufacturers grew by 11.3%. But Dell's individual claims total grew by 38% in that same period. Time will tell. Dell hasn't filed a financial statement since last June, and that filing covered the quarter ended May 5, 2006. So we're missing not only the last eight months of last year, but also the first month of this year. Placeholding estimates can only go so far. Dell Inc. is delaying the filing of the Form 10-K for its fiscal year ended February 2, 2007 because the independent investigation being conducted by the Audit Committee of the company�s Board of Directors has not been completed. As previously announced, the U.S. Securities and Exchange Commission and the Audit Committee are conducting investigations into certain accounting and financial reporting matters, including issues relating to reserves and other balance sheet items that may affect the company�s previously reported financial results, and the company previously received a related subpoena from the United States Attorney for the Southern District of New York. The Audit Committee�s investigation has identified a number of accounting errors, evidence of misconduct, and deficiencies in the financial control environment. The Audit Committee is working with management and the company�s independent auditors to determine whether the accounting errors necessitate any restatements of prior period financial statements, and to assess whether the control deficiencies constitute a material weakness in Dell�s internal control over financial reporting. Management is committed to resolving the issues raised in connection with the investigations, and regaining compliance with all SEC filing requirements (including the filing of the FY2007 Form 10-K) and all NASDAQ listing requirements, as soon as possible. The next deadline for Dell will be the first week of June 2007, when its Form 10-Q report for the first quarter of its fiscal year is due. We hope they make that deadline and catch up on their filings, and if they do, we'll revise the figures in this article to match their actuals. In Figure 2 below, we've included only the actual figures for Dell, and omitted our estimates for the second half of 2006. We've also included claims figures for IBM and Hewlett-Packard, as well as for three of the leading data storage vendors: Seagate, Western Digital, and EMC Corp.
As a group, computer makers seem to have some of the highest warranty claims rates of any type of manufacturer. What we wanted to show here is that they also are somewhat higher than data storage manufacturers, although the gap between OEM and supplier is wider in the automotive industry (around 2%). We'll get to the automotive manufacturers next week, but as a bit of a preview, let us suggest that the relationship between computer OEMs and data storage manufacturers is somewhat analogous to that seen between auto OEMs and their drivetrain suppliers. Or more precisely, these OEMs and these suppliers report claims rates that are closer together than those of OEMs and suppliers in general. It's as if these data storage manufacturers are the "drivetrains" of the computer industry, and they suffer proportionally more warranty expense than do other types of suppliers such as the circuit board and semiconductor manufacturers profiled three weeks ago in the April 17 issue. It's much the same case in the auto industry, where those making axles, transmissions and engines pay a higher percentage of their sales in warranty claims than do the makers of interiors, windows, brakes, tires, or other components. The largest warranty provider among the 18 we track in the computer category is Hewlett-Packard by far. In its last fiscal year, the company reported $2.35 billion in warranty claims, which is more than 40% of the total for the entire group. But as Figure 3 details, HP's warranty claims have been declining as a percentage of sales while remaining more or less level at $600 million per quarter. This means that warranted product sales have been increasing without a proportional increase in warranty expense. And indeed, HP's annual claims actually fell by $7 million while sales grew by almost 7% from 2005 to 2006. HP's claims rate now stands at 3.2% -- the lowest it's ever been, at least since warranty reporting began in 2003. Another company enjoying a slow but steady decline in warranty expense is Sun Microsystems. The company actually hit bottom during the second quarter with a 4.2% claims rate, but its most recent 4.4% claims rate is its second lowest ever. The best way to use these statistics is to compare one company against itself over time, and on that basis both HP and Sun are looking good. Notice that while HP always accrues slightly more than its claims cost, Sun does exactly the opposite. As a result, HP's warranty reserve continues to slowly grow in size, while Sun's continues to slowly shrink. As of Oct. 31, HP stood at $2.25 billion, up $76 million for the year. As of Dec. 31, Sun's balance stood at $236 million, down $6 million from the end of 2005. But compared to some of the companies we're about to show you, their reserve balances haven't changed all that much. So we'll skip the details. Instead, let's take a look at three computer companies that have seen radical changes over the past four years in both their warranty claims rates and their warranty reserve balances: IBM, Apple, and Gateway. If HP and Sun are as predictable as the contrails left in the sky by commercial jetliners, these three companies are more like daredevil pilots, curving and crossing unpredictably. Let's start with IBM. The company divested its personal computer business two years ago, selling the division to the Lenovo Group. At the time of that sale, Lenovo put some information into the public domain that suggested the warranty claims rate for ThinkPad laptops was close to 6% or 7%. One would have assumed that the laptop product line was towards the high end for IBM in terms of claims rates, and that without it the company's overall claims rate would have been lower. But look at what's happened since. In the middle of 2005, IBM's claims rate stood at 3.3%. Now it's back down to 3.4% after climbing as high as 4.3%. In June 2005, the company's accrual rate was just above 3%. Now it's down to 2.4%. So the gap has widened from under 0.3% to almost 1%. Imagine what that does to a warranty reserve. In Figure 6, we're plotting the reserve fund balance at the end of each quarter, and we're also computing that figure as a capacity to pay claims. So, in IBM's case, it most recently was paying claims at a rate around $67.7 million a month, and it had reserves of $581 million. Therefore, its reserve capacity was just over nine months. At the end of 2005, however, IBM had reserves of $754 million and was paying out slightly less per month in claims costs, so its capacity stood at 11 months. At the end of 2004, it was 13 months, and it's been as high as 14 months. So what Figures 5 and 6 are saying is that in recent years IBM is seeing rising claims, is cutting accruals anyway, and is allowing its reserves to shrink. It's almost the exact opposite story at Apple Inc. Its claims are now decreasing after rising in years past, its accruals have always exceeded claims, and its reserves are therefore continuing to expand. It's as if Apple was preparing for a big storm that turned out to be much weaker. And now it's smooth sailing. Apple's claims rate exceeded 2% only once in the past four years, so it's hard to see why the company was accruing at rates well above 2% for most of the past two years. Then again, with a new product category such as digital music players, where future warranty costs are unknown, and given all the bad press the iPods received from their allegedly charge-averse batteries and their allegedly scratch-prone screens, perhaps it was prudent to err on the side of caution with accruals. But look at what's happening now. Suddenly, the company has cut its accrual rate below 1%, matching a radical recent decrease in claims costs. Though Apple's claims as measured in dollars actually grew slightly from the third to the fourth calendar quarters, sales grew faster. Meanwhile, the claims and accrual rates are closer than they've been in more than three years. What effect would this have on the warranty reserve? Well, when accruals match claims, there's no net change in the balance. When accruals exceed claims, the balance increases. So, based on the red and green lines in Figure 7, one would expect Apple's reserve fund balance to climb during 2004 and 2005 and plateau late in 2006. As shown in Figure 8, this is precisely what happened. Apple's warranty reserve has been around the $280 mark for the past nine months. That's more than twice as large as it was at the end of 2004. And there's also been an accompanying increase in its capacity to pay claims. For most of 2003-05, Apple was content to maintain a reserve equal to what it paid in claims over the course of 9 to 12 months. Now its reserve capacity is in a range of 15 to 18 months. Apple could now go in any of several directions. It could lengthen its product warranties and perhaps extend its telephone support period, thereby driving claims back up into the 1.5% to 2% range. Or it could take as much as $70 million out of its reserves and add it to the bottom line one of these days, thereby cutting its reserve capacity back down to the 12 month range. Or, if its auditors still think a big storm of claims is coming, it could do nothing and maintain the surplus reserve level. Finally, let's take a look at Gateway Inc. When Warranty Week first began tracking product warranty costs four years ago, Gateway was paying out an alarming 8% of its product revenue in warranty claims. In 2005, the claims rate bottomed out at 1.3%. Last year, it was closer to 1.5% or 2%. The result is a chart that looks more like a water park slide than a computer manufacturer's warranty data. Notice that claims as measured in dollars followed a more or less similar pattern, falling from more than $50 million per quarter in early 2003 to a more manageable level in recent years. The untold story here is how extended warranties have grown in importance over the same period, effectively turning warranty into a positive contributor to the bottom line. However, now that Gateway is utilizing a third party administrator, it no longer keeps all the profits itself. Warranty reserves also bottomed out in 2004 and 2005, as seen in Figure 10. In fact, the reserve balance dipped below $20 million in 2004, before embarking upon an unbroken stream of consecutively higher figures. It was most recently measured at just under $65 million, more than three times its size at the end of 2004. Reserve capacity has also grown, from a dangerously low level of barely 90 days in 2003 to a more prudent current level close to nine months. If a company is selling products with 12-month warranties, the theory is that its reserves should approximate that size. In other words, at a well-managed company, one can look at the capacity line to estimate the average duration of its product warranties. What Gateway was doing in 2003 and 2004 was radically out of step with that theory (although some of its low end units carried only 90-day warranties). Had its claims rate remained unusually high, and its reserves remained unusually low, it might not have been able to remain in business. But thankfully, it's now back from the brink, and has stabilized its warranty costs at a more sustainable level. SEC makes LCA-Vision Inc. restate results to change revenue recognition for extended warranties. Consumer Reports survey finds customers prefer retailers' tech support services to manufacturers' own. AMR Research says 25% of U.S. manufacturers to move some production overseas if current conditions persist. Electronics Boutique Holdings Corp. settles service plan sales tax class action lawsuit. Microsoft's Peter Moore can't comment on Xbox 360 failure rates being higher than 3%. IBM's one-country-only product warranties impede its global sales strategy. Salesman takes $10 off price of DVD player if customer buys extended warranty for $10. Fort Worth Better Business Bureau fields puppy warranty complaints against ePuppypro.com. High Tech Pet agrees to investigate outstanding warranty claims and either repair or refund purchases. Navistar files counter-suit against Ford, seeks $2 billion in damages. Soldertec Global launches audit service to test compliance with RoHS. AA Warranty hires Golley Slater PR to promote the launch of its extended warranty service in the UK. Demand for longer battery life leads to safety disasters, such as the Sony battery recall in 2006. GM North America VP touts turnaround, says longer warranties provide more value to his customers. Modine Manufacturing blames fourth quarter loss in part on higher warranty costs. Six Sigma projects improve quality, reduce warranty costs and increase customer satisfaction. Anyware Computer Accessories lengthens warranty on TP-Link networking gear to three years. Ricoh offers two-year on-site warranties on new gel-based color printers. New bathrooms at Tallil Military Base in Iraq were failing even during the warranty period. Circuit City increases frequency of extended warranty pricing reviews from quarterly to monthly. Netgear ProSafe networking solutions now carry a lifetime hardware warranty. Colorado lobbyists accused of making false claims about a tax hike to oppose home warranty bill. Reuters to acquire ClearForest Ltd., makers of text analytics software. All Subaru Tribeca 4x4s sold in UK from May to July to carry promotional five-year warranty. Apple Inc. says some MacBook batteries may have performance problems and need replacing. IBM business partners say lack of international warranties impedes their global growth. MyThings Web site records serial numbers and purchase dates, smoothing warranty claims. New York's MTA won't fix some of its own failure-prone elevators for fear of voiding warranties. All Mazdas sold by Towell Auto Centre in Oman this summer get promotional five-year warranty. Homebuilder sues RipOffReport and Google for posting negative comments about his business. Tidewater Builders Association's home warranties have loss ratio of 5%, vs. 40% for competitor. Mustang Shelby Super Snake engine can be tuned up to 725 horsepower, but that voids the warranty. JP Morgan analyst sees lower warranty costs at Ford North America during first quarter. Monaco Coach says quality improvements helped it cut warranty expense in the first quarter. Microsoft reports increased Xbox 360 console warranty expenses; division's losses continue. BorgWarner profit falls 5% after first quarter warranty charge. Fujitsu Siemens Computers opens new call center in the UAE. New Staten Island Ferry boats have generator and cooling system problems, but they're covered under warranty. Jim Moran, automotive pioneer and founder of JM Family Enterprises, dies at age 88. Lennox International reports lower profits, higher parts costs, increased warranty costs. Asus adds third year to notebook warranties in Singapore. Cell-phone lemon law sought by Illinois legislator who replaced handset three times. Assurant pays wrong service provider and consumer pays the right one for refrigerator. Intel denies processors secretly record overclocking attempts, which voids its warranty. QAD Enterprise Applications 2007 includes warranty tracking in service and support module. The Warranty Group completes relocation of its headquarters to Chicago's financial district. General Motors South Africa notices a pattern in shattered Opel Corsa Lite back windows. MTU Detroit Diesel Australia to give MBE 4000 and Series 60 engine buyers a five-year warranty. Business World survey ranks Tavant Technologies 17th best place to work in India. Former used car dealer Sam Irvin Jr. pleads not guilty to charges of extended warranty fraud. Mahindra & Mahindra to sell SUVs in U.S. backed by 4-yr./60,000-mile warranties. GM's longer warranties get positive reviews from AutoPacific brand study's panelists. Toyota lengthens hybrid battery's warranty to 8 yrs./160,000 km. to spur sales in South Korea. ServicePowers Field Service Solutions Division to provide warranty claim processing to Clarion Corp. Links Real Estate to offer GAP Home Warranty Services in UAE. Ford's quality ranks with Toyota and Nissan in Global Quality Research System report. NPD Group publishes "Services: The Consumer Perspective on Warranties, Installations, and Tech Support." SAS Institute gives its Enterprise Intelligence Award to Whirlpool at the SAS Global Forum. Tableau Software updates data analysis software to provide drag and drop dashboard creation. Partsearch Technologies to provide service parts solutions to the National Service Alliance. Tata Motors is developing a "People's Car" it aims to sell for about $2,500 in developing markets. 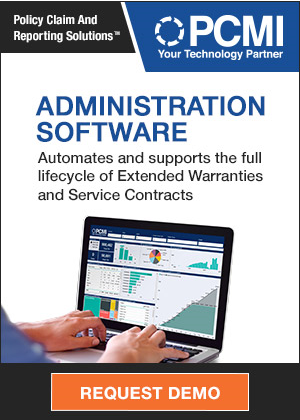 Oracle's JD Edwards World A9.1 includes a new Service and Warranty Management module. Blue Raven Technology debuts new line of iPod customer-self-replacement battery kits. Chrysler dealers say customers wonder if their cars will still be covered by warranties if company is sold. Circuit City reworks extended service plan terms to enable faster renegotiation of prices. Dell discontinues Axim handheld; warranty support to continue. Sony discontinues the 20GB PlayStation 3; warranty support to continue. PC-Doctor Inc. to sell system-health software through system builders, VARs and others. "Will It Blend?" pranksters try to return a video camera they put through a blender. 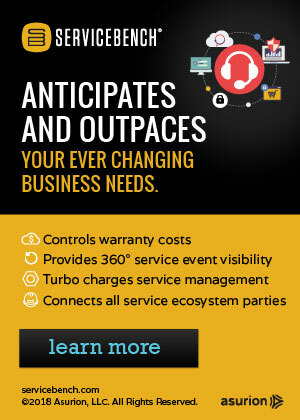 Mitsubishi Caterpillar Forklift America rolls out 4CS iWarranty software suite to dealers and customers. LEDtronics announces T3¼ (9mm) single-contact screw-in LED bulbs with three-year warranties. Corrigo upgrades Web-based work order software to display warranty info on products being serviced. Dell to replace 17" Inspiron screens that develop a vertical line within 3 years of purchase. Technical troubles deep six sonar system used to defend Canada's coasts. Circuit City's extended warranty sales drop to 2.9% of revenue in the quarter ended Feb. 28. Solectron Global Services opens 500,000 square foott facility in Louisville, the company's largest. Extended warranty, GAP insurance, and high interest rate turn £7,000 car into a £21,500 purchase. Cisco's Smart Care Service makes service contracts available to small and medium-sized businesses. New Zealand researcher finds a cluster bomb dud in Lebanon with a warranty that expired in 1974. Microsoft will now pay round trip shipping charges for all Xbox warranty repairs. Dell opens new spare parts and logistics center in Dubai. Kia Motors (UK) Ltd. equips Carens with a five-year unlimited mileage warranty. FieldTurf Tarkett passes $5 million milestone in prepaid warranty insurance premiums. D-Link offers 11-year warranty on its new Wi-Fi product line. Synapsis Technology's EMARS environmental compliance software now provides support for China's RoHS regulations. Dell delays annual report filing, finds accounting errors and evidence of misconduct. Washington state lawmaker says bill requiring warranties on new homes appears to be dead this session. Home buyer rights bill gets past initial hurdles in Colorado legislature. Warranty registration cards mostly just fish for your personal info. The Warranty Group to offer United Country Home Protection Plan on behalf of real estate company. Assurant Solutions to offer a commercial equipment maintenance, service contract and repair program. FASB FIN 48 compliance may require state taxes be paid where companies perform warranty work. Quality Control Systems Corp. files suit to gain access to Ford's early warning system data at NHTSA. HP wont unstick keys, voids warranty on notebook running Linux.